Researchers at Oregon Health & Science University (OHSU) College of Pharmacy and Oregon State University (OSU) at Corvallis, and Veterans Affairs Medical Center in Portland, Oregon, have documented an “alarming rise” over the last 20 years in the costs of drugs used to slow the progression of multiple sclerosis (MS) or reduce frequency of attacks, in some instances by more than 700 percent. 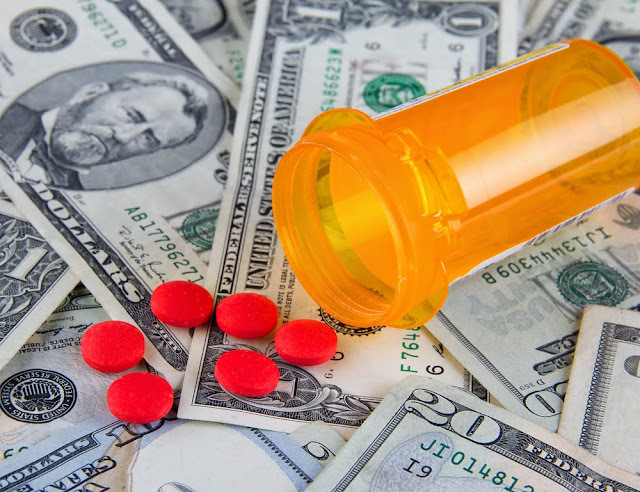 This price escalation has continued to soar even as newer drugs have come to the market — a factor that normally could have ben expected to stabilize or reduce the cost of at least older MS medications. However, in this case a substantial increase in the number of MS drugs available in the marketplace over the past two decades has emphatically not resulted in lower or stabilized costs for patients who use those drugs, and the OHSU/OSU researchers paradoxically discovered that the costs of all drugs used to treat MS including first-generation therapies have continued to skyrocket. Their findings were published online before print in an Open Access article in the May 26, 2015, issue of the American Academy’s medical journal Neurology. The researchers’ objective, in response to mounting concerns about the affordability of drugs used to treat MS, was to examine the pricing trajectories in the United States of disease-modifying therapies (DMT) for multiple sclerosis over the last 20 years and assess the influences on rising prices. The researchers found that there are no multiple sclerosis drugs now available in the United States with a list price below $50,000 a year, which is two to three times greater than the price of the same or similar drugs in Canada, Australia or the United Kingdom. The cost of the group of drugs available to treat MS has risen in price at rates five to seven times greater than the normal rate of drug inflation in the U.S. The researchers examined 20 years of drug pricing data for nine MS drug treatments beginning with the initially approved injectable medications, up through the approval of the newest oral drugs, estimating annual drug cost trends for the 9 DMTs using published drug pricing data from 1993 to 2013. They then compared changes in DMT costs to general and prescription drug inflation during the same period. They also compared cost trajectories for first-generation MS DMTs interferon (IFN)-1b, IFN–1a IM, and glatiramer acetate with contemporaneously approved biologic tumor necrosis factor (TNF) inhibitors. They determined through this research that first-generation DMTs, originally costing $8,000 to $11,000 annually, now cost approximately $60,000 per year, the price of these agents having increased at annual rates five to seven times higher than general prescription drug inflation. Newer DMTs commonly enter the market costing 25 percent to 60 percent more than existing DMTs. The coauthors note that significant increases in first-generation DMTs’ cost trajectory occurred following Food and Drug Administration approvals of IFN–1a SC (2002) and natalizumab (reintroduced 2006), and remained high following introduction of fingolimod (2010). Similar changes did not occur with TNF inhibitor biologics during these time intervals, and DMT costs in the United States currently are 2 to 3 times higher than in other comparable industrialized countries with similar cultures and standards of living where MS drug costs were often more than 70 percent lower than U.S. costs. However, one major distinction is that Canada, Australia or the United Kingdom all have national single-payer health care systems.